lf you like studying geography, you probably like looking at maps. Have you ever seen a relief map of the world? That means a map (possibly made of plastic) that shows you the surface of the Earth in 3D. You will notice that the tallest mountains by far are the Himalayas – they are sometimes referred to as ‘The Roof of the World’. As a well-travelled sailor l have been to this place. lt is very interesting, and very different from Rocky Bay. The countries of the world as we know them today have not always been where they are now. About 220 million years ago, all the land was grouped together in one mass in a prehistoric land we now call Pangaea. 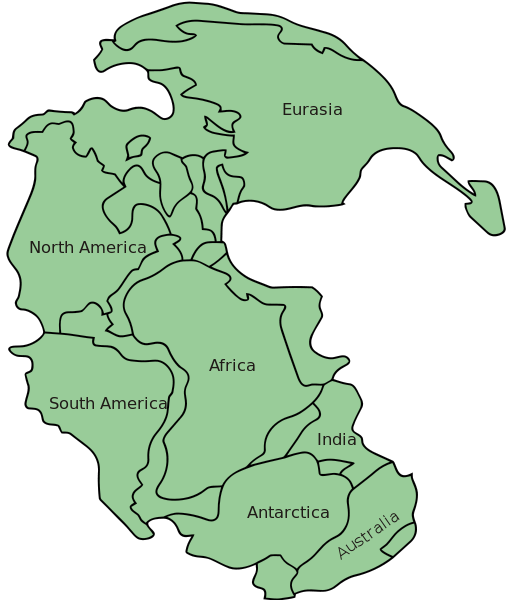 The continents were fitted together like a giant jigsaw puzzle. These pieces of land were floating on a sea of hot, molten rock and eventually started to drift away from each other. This process is extremely slow and still continues today. 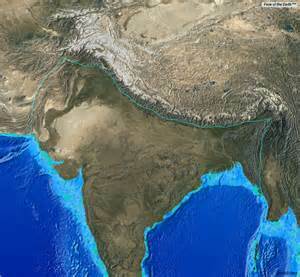 lndia was once an island and over a long period of time it moved northwards through the lndian Ocean. Then about 40-50 million years ago it ‘crashed’ into the continent of Asia with such force that it crumpled up the land it bumped into causing it to rise up into a long and very high mountain range. Of course the creation of these mountains took many years. The movement was slow but powerful. 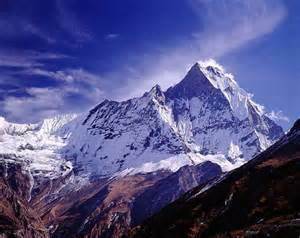 All the highest land mountains in the world are in Asia. 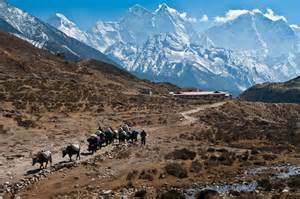 The highest mountain in the Himalayas is Mount Everest (as high as a 2,200 storey office block), the second highest is K2. 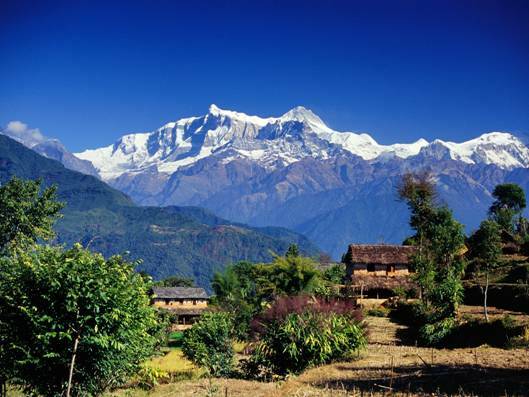 The third highest is Kangchenjunga, or in English, ‘Five Treasures of Snow’, because it has five snowy peaks. 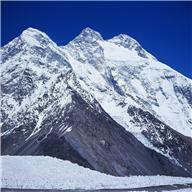 Many mountaineers have the ambition to climb Mount Everest. lt takes a lot of training and money and the climb usually takes about 4 days. 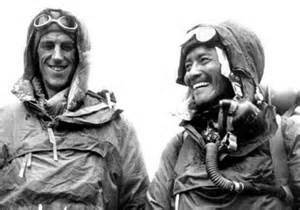 The first men to conquer Mount Everest were a New Zealander called Edmund Hillary and man from Darjeeling called Tenzing Norgay on 29th May in 1953, which was a few days before Queen Elizabeth ll was crowned. There aren’t many people that live in the Himalayas, but there are some. 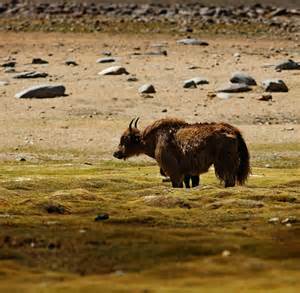 They rely on yaks for milk and transport. There are other animals that live in these mountains too; some of which do not live anywhere else in the world. 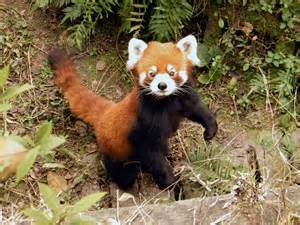 There are red pandas, bears, Asian elephants, tigers, leopards, one-horned rhinos, monkeys and golden eagles. Huge footprints have been found in the snow in the Himalayas and some people claim that they have seen a huge, ape-like man covered in fur walking on two legs there. The creature has brown fur and a white face and is called a Yeti (it is sort of a Bigfoot) but nobody has ever captured one alive. 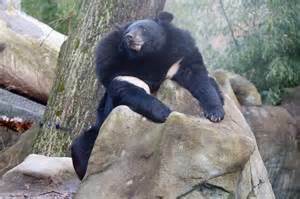 lt is possible that the foot prints were made by a very large moon bear (Asian black bear); however, scientists now believe that a yeti is probably a bear which is a cross between a Himalayan brown bear and a polar bear. 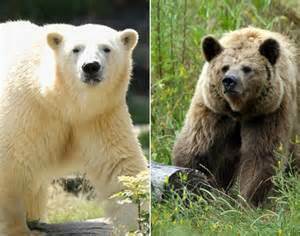 Polar bears and brown bears do occasionally breed together in the Arctic North and bears do sometimes stand on their back legs for quite a long time. lf you saw one standing like this in the woods when it was getting dark, it might look like a person. Yeti – fact or fiction you decide! Bob: Why is the sky so high? Bill: l don’t know. Why is the sky so high? Bob: lt is so the birds won’t bump their heads! 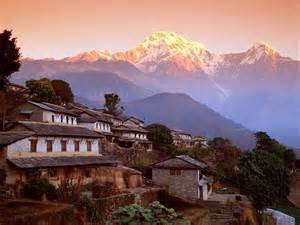 The Himalayas are often called ‘The Roof of the World’ because they are so high. 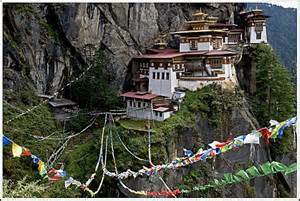 They are a fascinating place, but there are many interesting places in the world. Last weekend, while a cold wind was whistling around Rocky Bay, Bill and Bob were keeping in the warm and reading their Fascinating Facts about the World book. Did you know about these fascinating facts? It is illegal to buy a toaster in Cuba. There are over 180 miles of canals in Birmingham and that is more than in Venice. Some countries in the World still don’t have television. There are sand dunes in the Sahara Desert that are much taller than the buildings in London. Russia is the largest country in the world and is so wide, that when the people in the West are having breakfast the people in the East are having supper. The only country not owned by anyone is Antarctica. 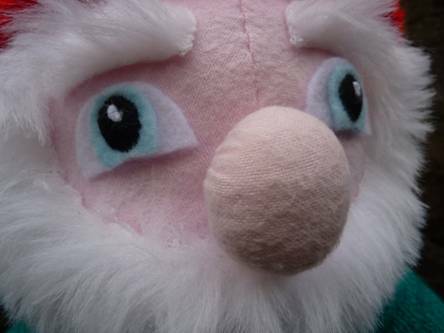 There is no land at the North Pole, only ice. Inuits have many more words to describe snow, and Arabs have many more words to describe camels than the English do. About a third of the Earth’s ground is desert and just over 10% of the land is used to grow food. The Eiffel Towel, probably the most famous landmark in France, built in 1889, was supposed to be a temporary structure. The Statue of Liberty in New York is very famous, but there are many replicas to be found all over Europe. There are British style letter boxes in Argentina and Uruguay. There are British style lighthouses in Chile. South Africa has three capital cities. 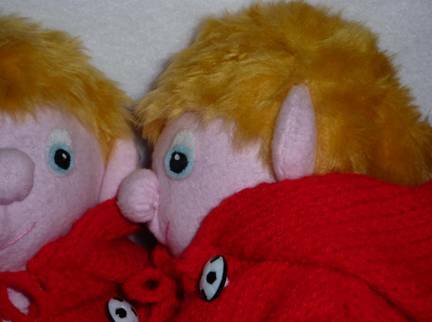 There is a sleepy, little village in Norfolk called Little Snoring. The Fairy Investigation Society’s headquarters were set up in Dublin in 1983. There is a restaurant in Tokyo just for dogs. Inuits have refrigerators in their houses. There are over 200 religious denominations in the USA. It is illegal to drive a dirty car in Russia. It is illegal to chew gum in Singapore, feed the pigeons in Venice and take some types of nasal sprays into Japan. It is against the law to wear military style clothing in Barbados. It is against the law to leave your house without wearing underwear in Thailand and you can’t drive without a shirt on either. In Victoria, Australia it is against the law to wear bright pink shorts on a Sunday afternoon. People can’t wear their swimming costumes on the streets of Majorca either. Pointing or putting your thumb up to say okay is rude in some countries and so is showing someone the soles of your shoes when you cross your legs. The shape of the coastline of Iceland is always changing because of volcanic activity. The names of the continents all end with the letter they start with. Water covers about 70% of the Earth’s surface and the human body is about 70% water too. 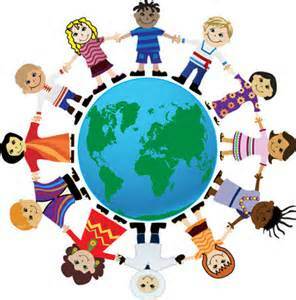 Happy Birthday is sung all over the world and is the most sung song of all. This blog is read in over 130 countries! This is a really easy way to make a friendship bracelet. Cut 4 lengths of yarn 30cm long all of the same colour – in the picture these are yellow. Cut then cut a length of another colour 130cm long – in the picture this is green. 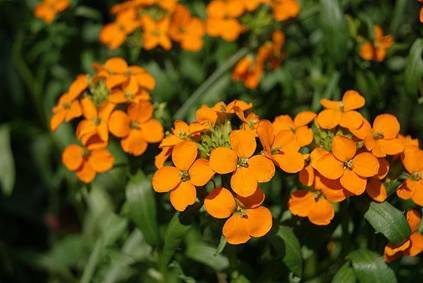 And another length 130cm long of another colour – in the picture this is orange. Tie all the ends together into one knot. 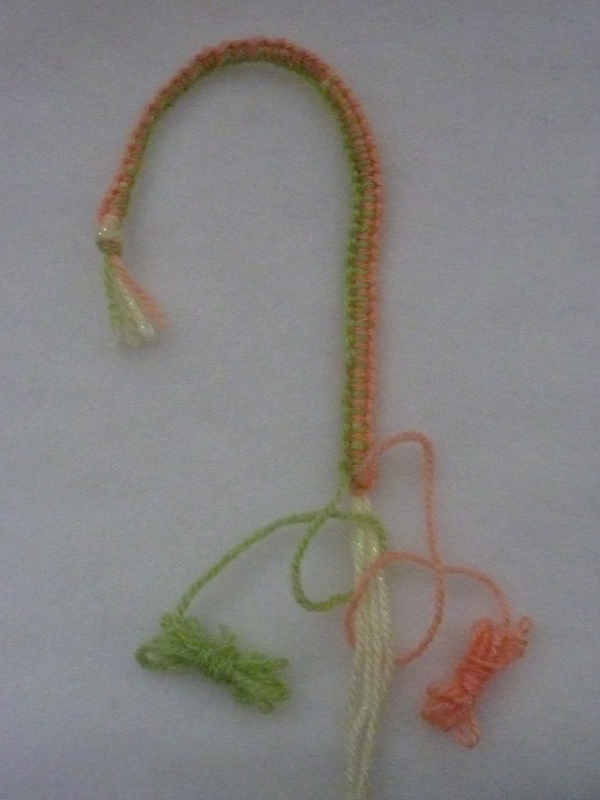 Then wrap the green and orange yarn around the strands of yellow yarn knotting them as you go as shown in the picture. 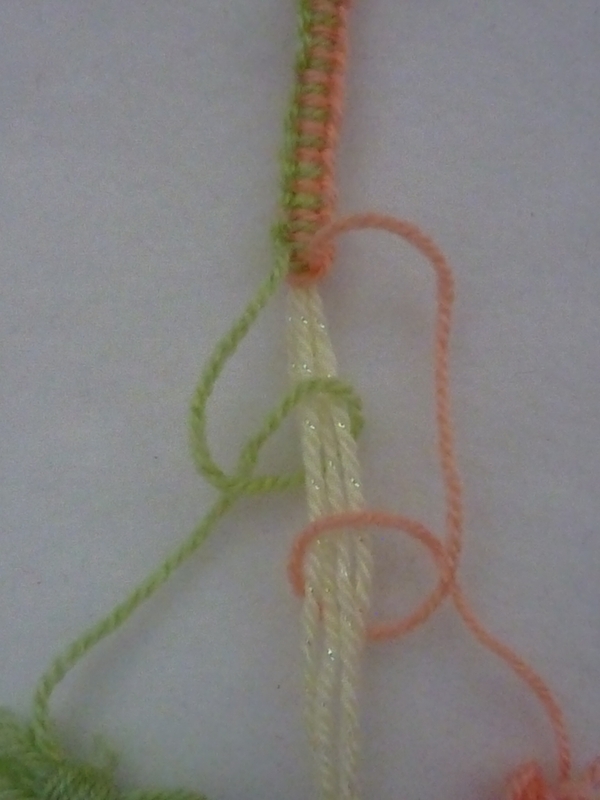 Put the green yarn under the yellow and then under itself then repeat with the orange, then go back to the green. When your braclet is long enough for you, tie a knot and trim the ends off. Bind the ends together just inside the knot in any way you like, but make sure the link is secure. You might find it easier to work if you anchor the top end down. *Don’t play sports or go on your trampoline wearing jewellery. This is an idea of how you can grow a garden on a wall. 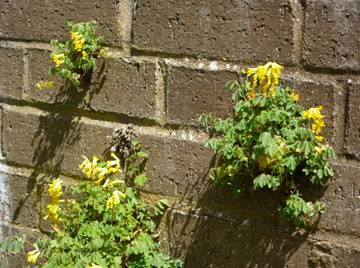 Some plants will seed themselves into a wall like the yellow corydalis in the photograph below. But you can make a colourful vertical garden yourself on a wall that is suitable. Ask permission first from the person who owns the wall, and make sure that you choose a wall that has cracks in it (gaps between stones) so that the flowers will have a place to put their roots. First of all, you can either make some seed bombs to press into the cracks, or if you are planting plants (not seeds) then it is a good idea to wrap a little bit of turf around their roots and push that into the wall. 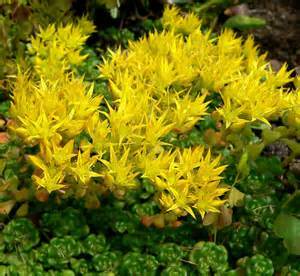 A sedum like biting stonecrop will grow very happily in a wall and a small piece broken off from a plant should root quite easily once it has some compost to root into. lt is often the case that when a plant is brittle, it quite easily throws roots out from the parts that break off. Planting seeds will probably be easier, so this is how you make seed bombs. When the seed bombs are hard, keep them in a strong paper bag or box and keep them dry. 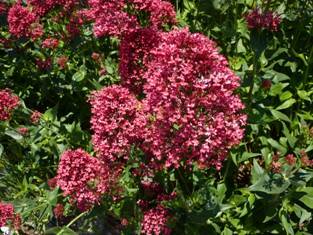 You will need to choose the kind of plant you use carefully – they have to like growing on a wall. These are the names of some of the ones you could plant. Your wall garden won’t need a lot of maintenance; maybe just a little weeding occasionally. lf you have had a period of really dry weather and the plants look really limp, you could sprinkle them with a hose pipe but otherwise the plants will be used to living in these conditions so they won’t need feeding. 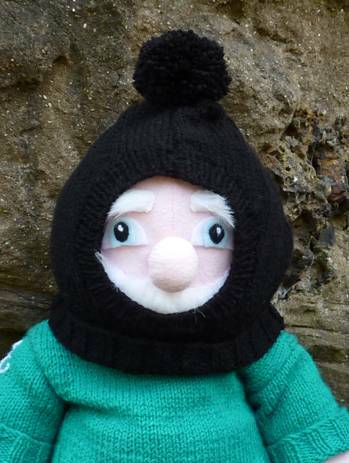 Balaclavas are brilliant to wear in really cold weather – your eyes are left uncovered to see where you are going, but your ears and chin are kept warm. 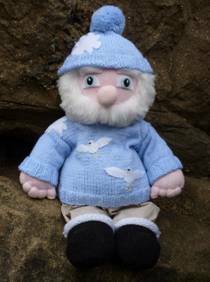 This is a knitting pattern for your Salty Sam toy. With right sides together sew up centre front seam and side seams then turn right sides out. Then wind lengths of the black yarn around the two pieces of card through the middle hole to the outer edge until a pad is formed, (tying the ends of the lengths securely as you go). Cut through the yarn by slipping the point of your scissors between the card pieces. Then tie a long piece of black yarn around the core of the bobble between the pieces of card. Pull it very tight as you knot it. Do this several times going backwards and forwards around the core. 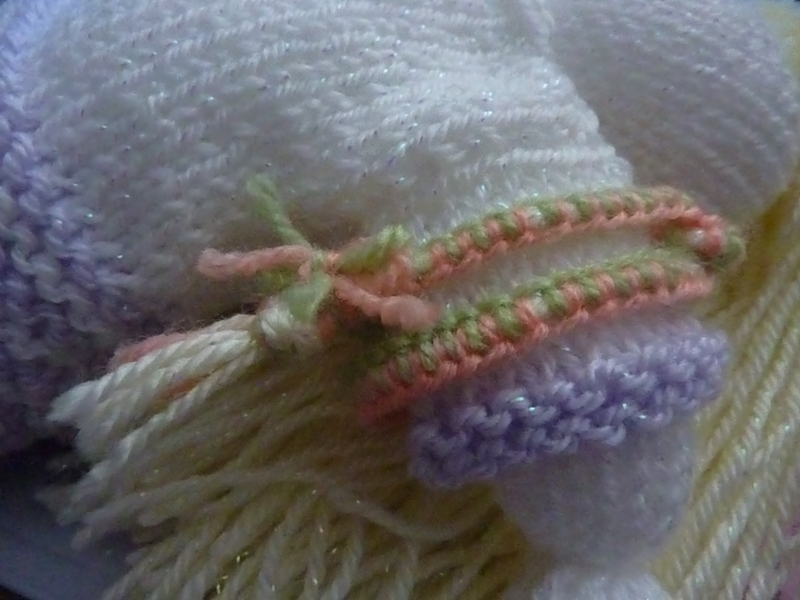 If you make the pad of yarn too thick or you don’t tie the centre together tightly enough, your bobble will fall apart. If your hands are not strong enough, then you might be able to find a grown-up to help you with this bit. Leave two lengths of black yarn to help you sew the bobble to the top of my hat. THEN it is time to pull the pieces of card away from the yarn. If you are a knitting newbie, it is not advisable to knit with black or a very dark-coloured yarn because it is not so easy to see where you are or what you have done. 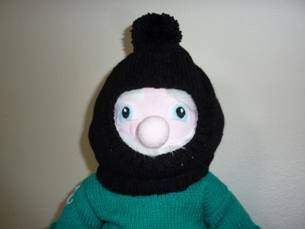 A blue or red balaclava would look nice, or if you like, you can make the ribbing around the face and the bobble out of a different colour. ChildLine is a private and confidential place for you to talk. This means that whatever you say, stays between you and ChildLine. You don’t even need to give us your real name if you don’t want to. 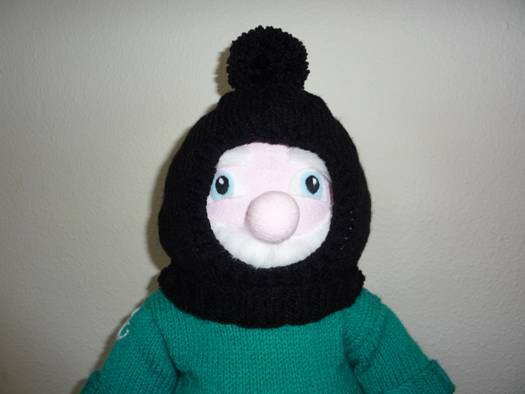 I like your balaclava. I think that it could fit a person with a small head. l think that you could well be right Hanna! Hello Salty Sam I look forward to reading your blog every week.